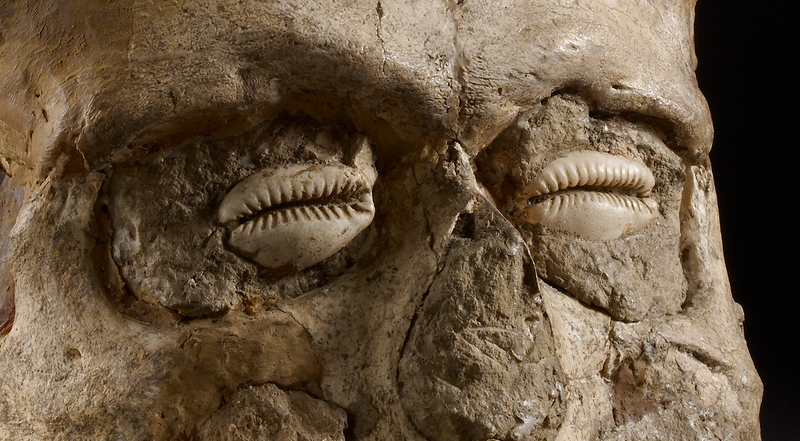 About 9,000 years ago this human skull was covered with plaster and the eye-sockets inlaid with cowrie shells, perhaps to represent the dead individual. This is how the archaeologist Kathleen Kenyon interpreted the skull when she excavated it along with a group of six others at Jericho in 1953. If correct, it would make this the oldest portrait in the Ashmolean Museum. The skull belonged to an adult male and shows evidence of being artificially shaped (possibly by wrapping cloth around his head when an infant); he may have been identified as somebody special from this early age. We don’t know how he died but the removal of the skull may have been carried out after the flesh and sinews had decayed. Plaster was carefully modelled over the front of the skull but does not extend over the back, which was perhaps originally provided with some other material to look like hair. 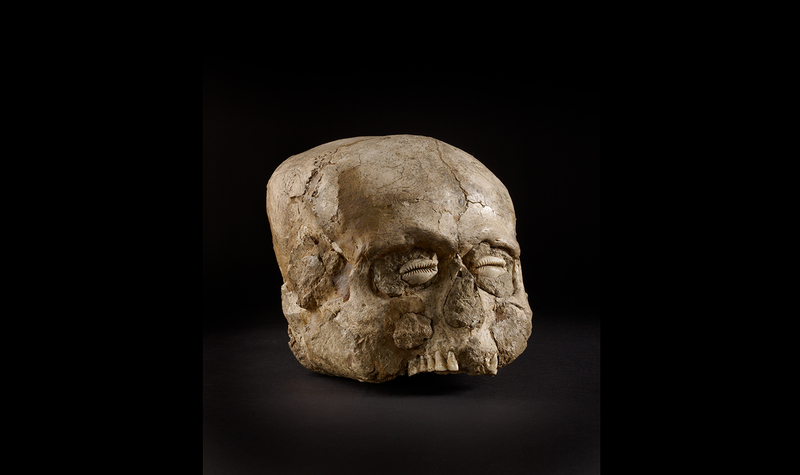 The plastered skull dates to around 7000 BC, a time when clay was helping to transform settled communities, including the creation of figurines of animals and humans as well as early forms of pottery. It was one way that they could remember their dead, perhaps helping to bring a community together through memories of their ancestors.